Amber Homes are delighted to offer, for sale, this substantial five bedroom detached home situated on Cromford Road, Aldercar. 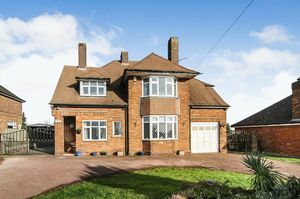 The home is perfect for a growing family with both schools in walking distance. Living accommodation consisting of three reception rooms, spacious kitchen, utility room, integral garage, five double bedrooms, family bathroom & large rear garden. 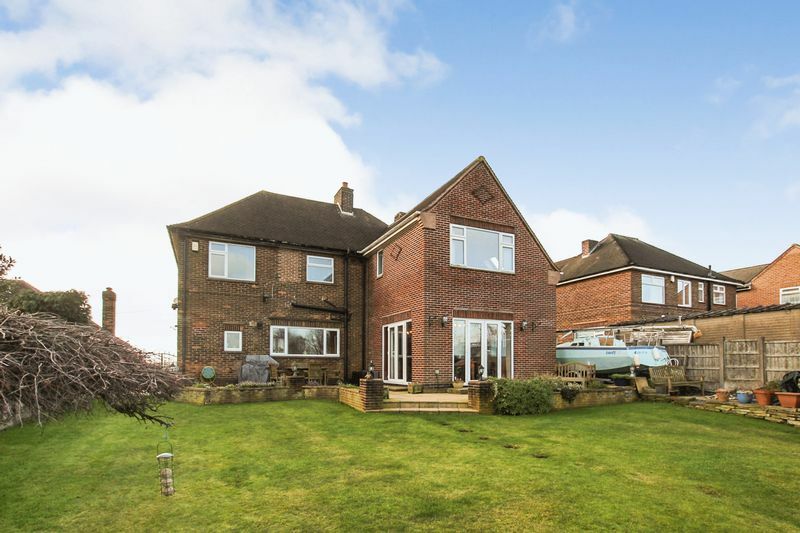 Amber Homes are delighted to offer, for sale, this substantial five bedroom detached home situated on Cromford Road, Aldercar. The home is perfect for a growing family with both schools in walking distance. 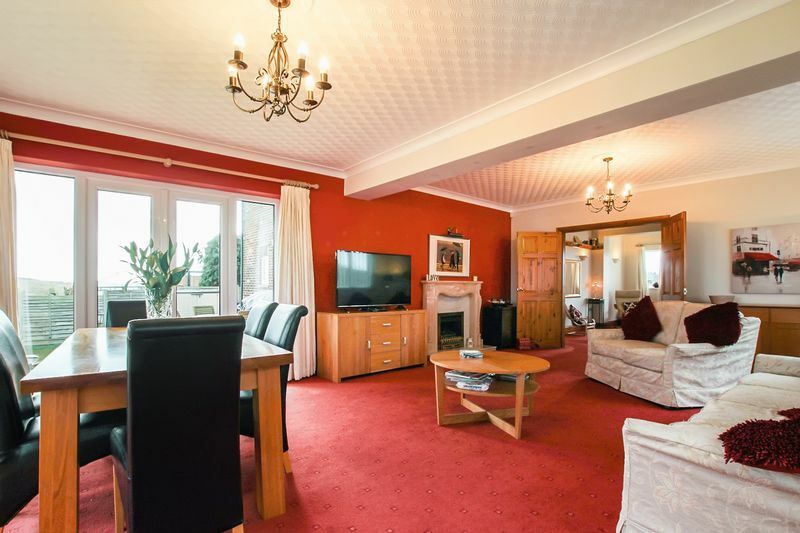 Living accommodation consisting three reception rooms, spacious kitchen, utility room, integral garage, five double bedrooms, family bathroom & large rear garden. Access via uPVC d/g entrance door from an open porch this spacious hallway can double up as a third reception room. 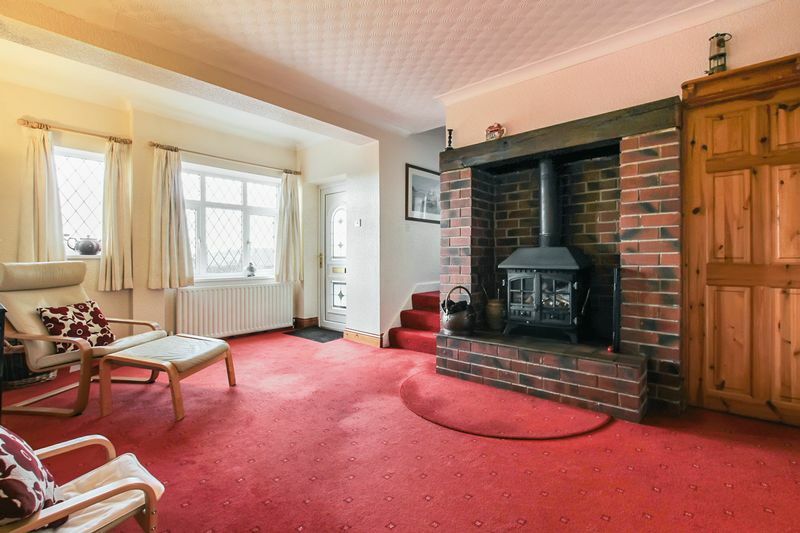 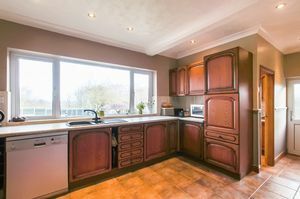 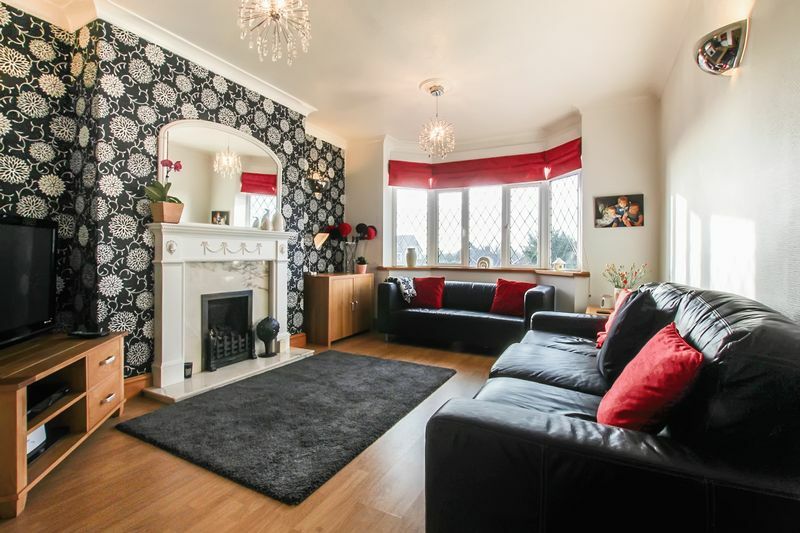 Two uPVC d/g windows to the front elevation, under-stairs storage cupboard, multi fuel burning stove with brick surround, carpeted flooring, GCH radiator, access to the Living Room via double opening pine doors & staircase leading to the first floor. A spacious Living area having two uPVC d/g french doors leading to the garden, two uPVC d/g windows to the side elevation, carpeted flooring, gas fire with marble effect surround and two GCH radiators. 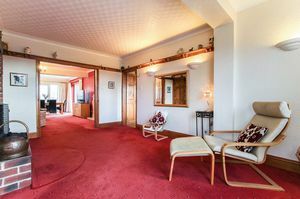 Located between the Hallway and kitchen this extra Sitting Room can be used as a Dining Room or second reception room. 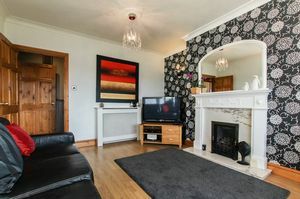 Wooden laminate flooring, GCH radiator, uPVC bay window & traditional fire place housing a gas fire. 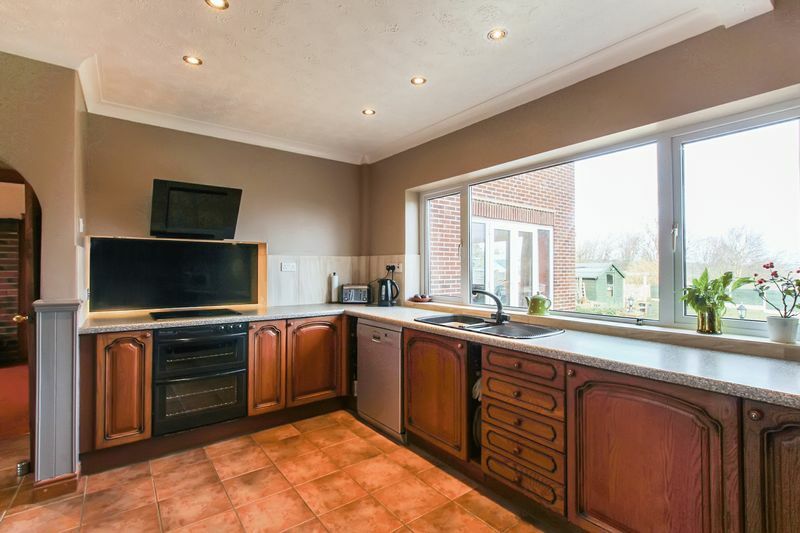 A large kitchen can be accessed either from an external uPVC door with glass panel or via the reception hallway. 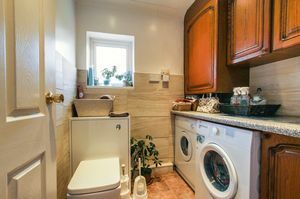 Having a range of base, wall and drawer units, oven, hob with extractor over, steel sink with drainer, ceramic tiled flooring, two GCH radiators and a large uPVC window over looking the Rear Garden. 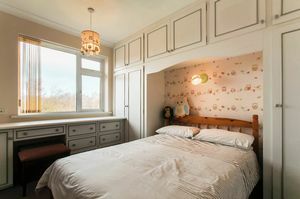 Accessed from the Kitchen. Having a low level w/c, base and wall units (matching those of the kitchen) appliance space under, work surface over incorporating a stainless steel sink and drainer. 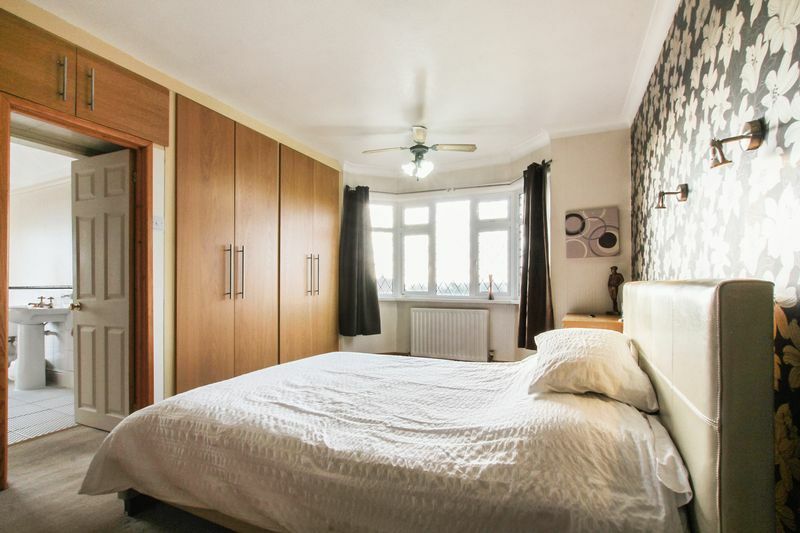 A spacious master bedroom with en-suite occupies the front right-hand side of the first floor, having built in wardrobes, carpeted flooring, GCH radiator and uPVC d/g bay window to the front elevation. 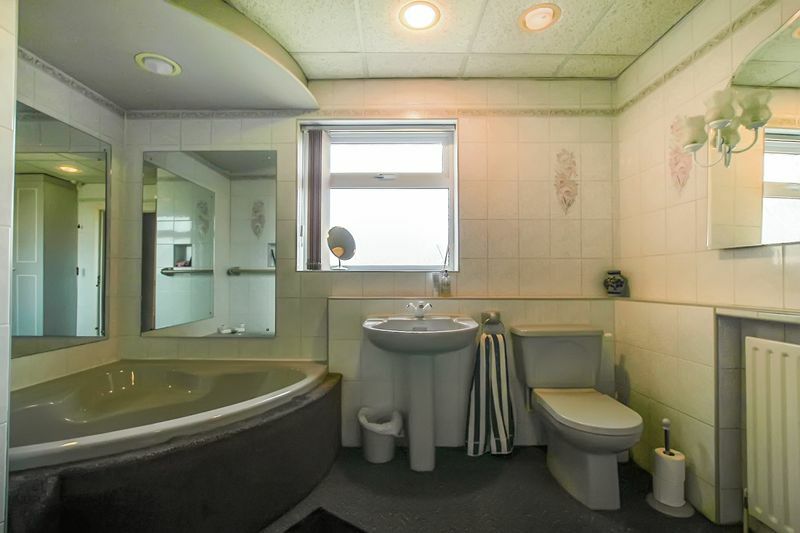 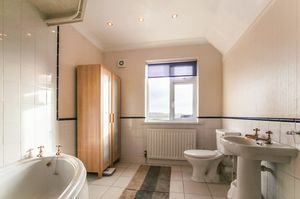 The en-suite is fitted with a three-piece suite comprising of a corner bath with shower over, pedestal wash hand basin and low-level WC. 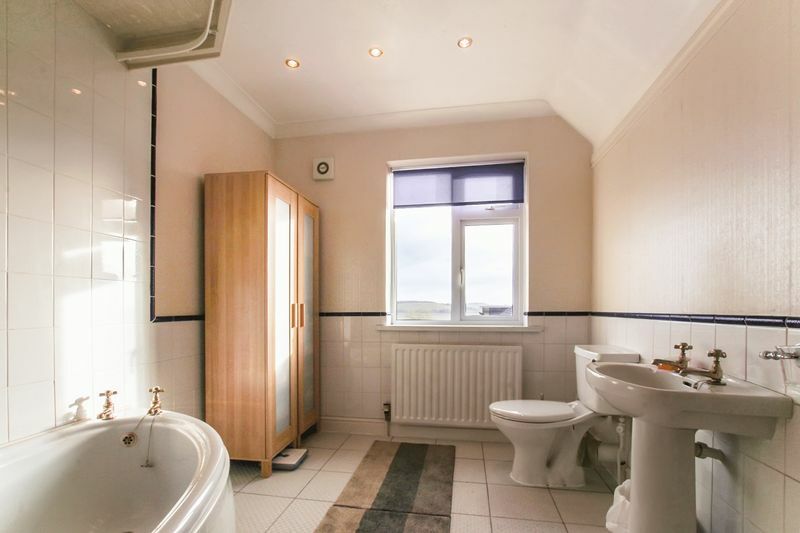 Tiled walls to splash-back, GCH radiator and uPVC d/g window to the side elevation. A spacious double bedroom, having a velux roof window, two uPVC d/g windows to the rear and side elevations, carpeted flooring and GCH radiator. 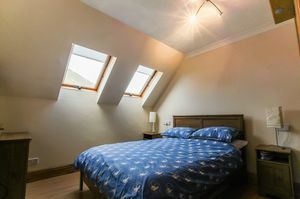 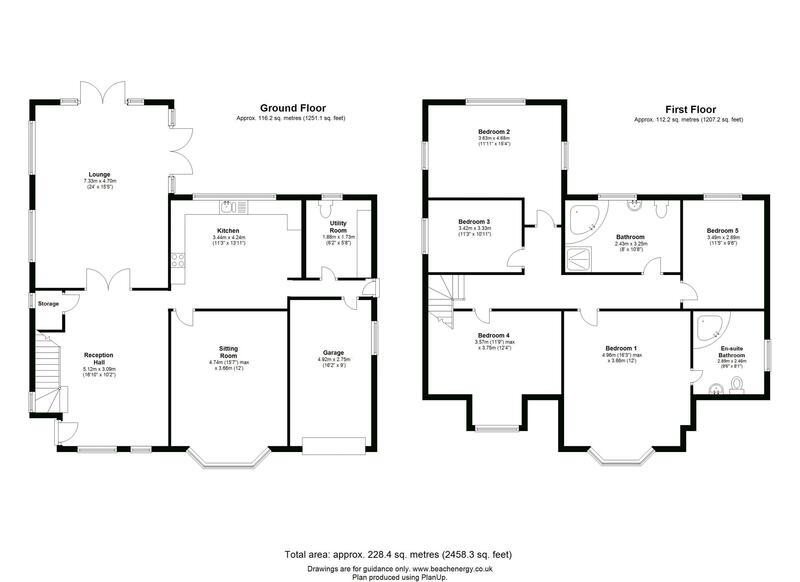 Double Bedroom having two Velux roof windows, wooden laminate flooring and GCH radiator. The fourth double bedroom having uPVC d/g window to front elevation, wooden laminate flooring, built in wardrobes and GCH radiator. 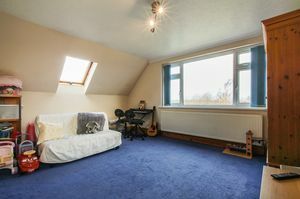 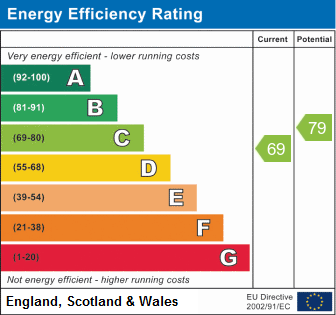 The fifth double bedroom having uPVC d/g window to rear elevation, carpeted flooring, built in wardrobes and GCH radiator. 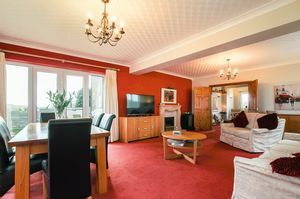 Access from the driveway or Kitchen lobby, having an electronically operated up and over door, lighting, power supply and uPVC double glazed window. 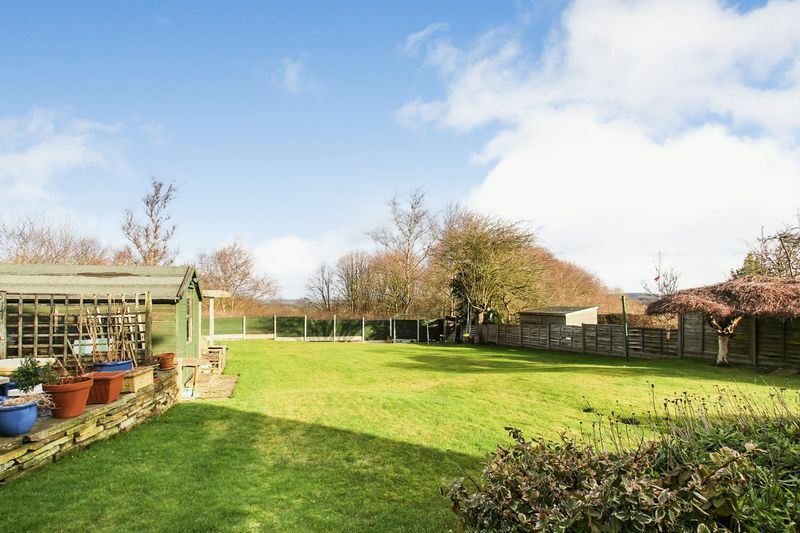 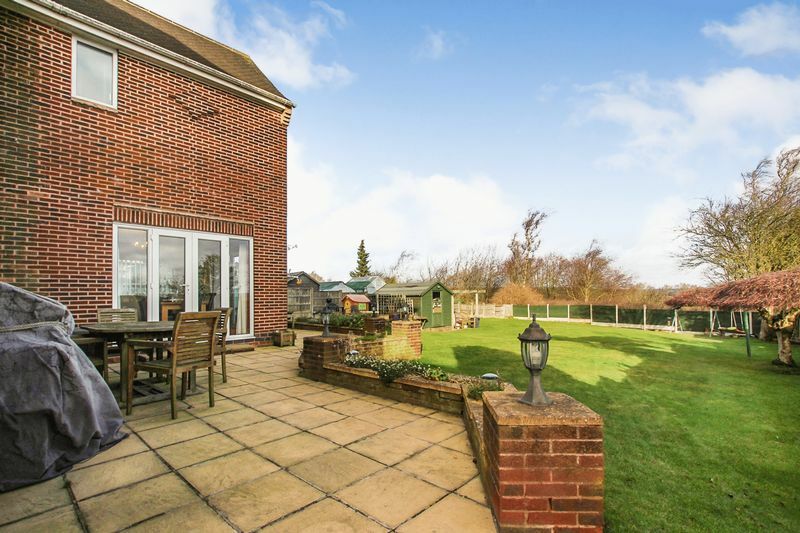 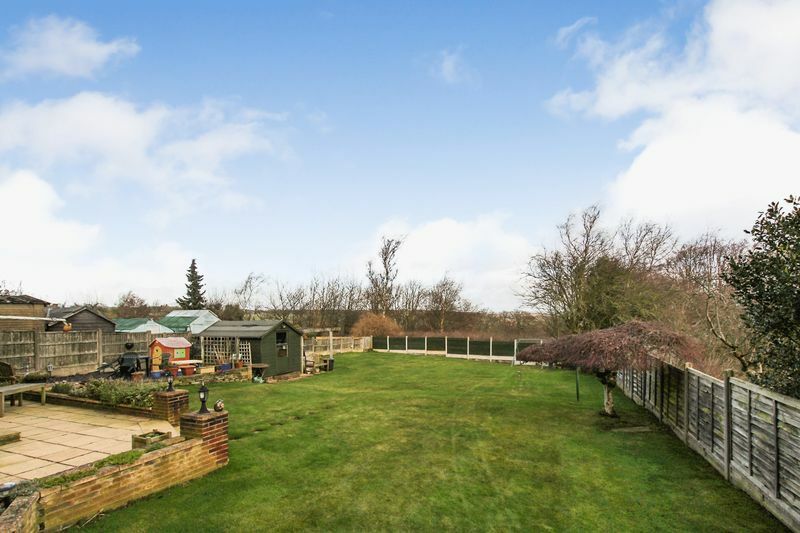 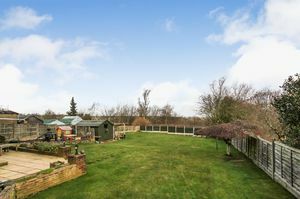 A stunning enclosed garden occupies the rear of the property having a mixture of patio & lawned areas. 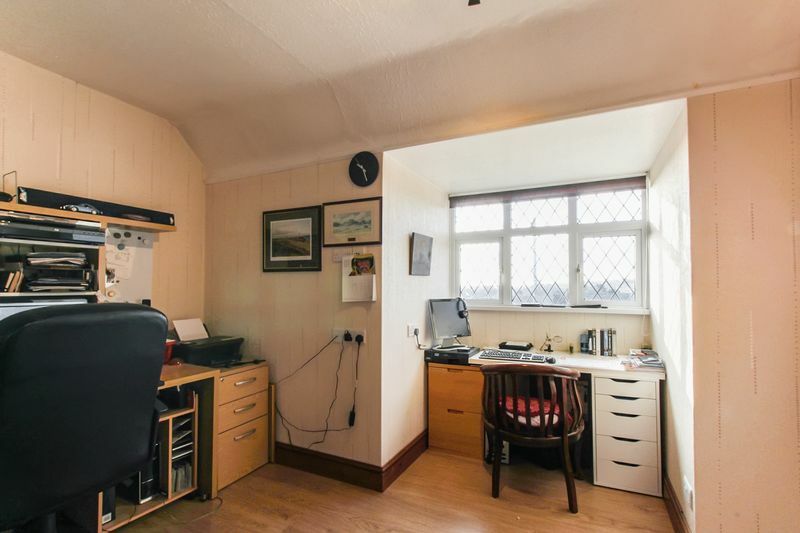 There is also a good sized shed with power and lighting. To the front of the property in a circular driveway giving access to the integral garage and providing ample off road parking. 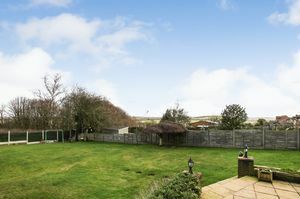 Double wrought iron gates to the side of the property gives access to the rear garden and can be used as extra parking.